Helping families and saving lives brings meaning and joy to what we do. Sometimes our medical alert clients are gracious enough to record a few words about their experience with their Pioneer Emergency buttons. If you’d like to add your story to this page, call our office 1-800-824-8844 and ask for the phone number of the Pioneer call-in testimonial line. 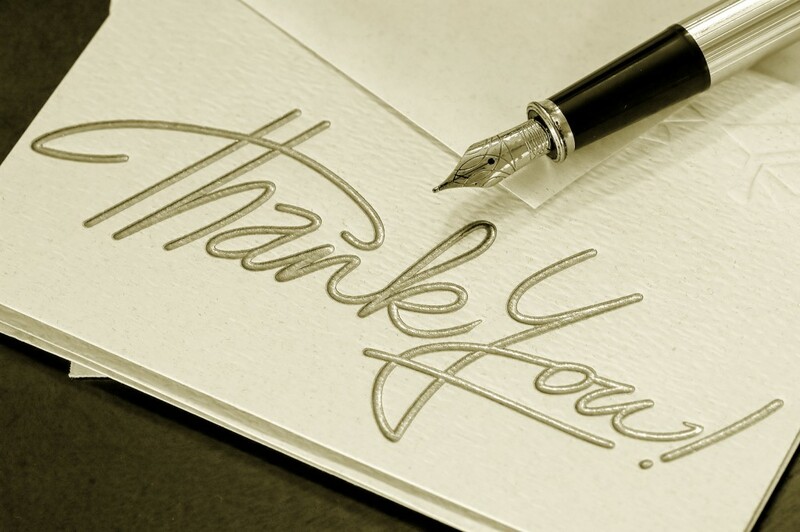 Another way you can say THANK YOU to our great staff, is to post a review on our Pioneer Emergency Google+ page. When you are on our Google+ Page, look for the “ Write a Review” button. Need some help with that? Here’s a three minute step-by-step tutorial on how to write a Google Review for Pioneer Emergency. My name is Wendy Mangen. And I’m from Springville, FL. I’m an individual person living alone, and I’m older and not well. I become involved with Pioneer Emergency Response after I had fallen and broken my shoulder and didn’t have any help to get someone to come and take me to the hospital. Anyway, I had the Pioneer Emergency Response unit in my home for quite a while after that, and I can’t tell you how many times it has saved my life. I have a problem with falling, and I fall very often and I usually have to get the EMTs to come from the fire department to get me up, or to take me to the hospital. Thank you so much for all of your help. As I’ve said, you’ve really saved my life more than 20 times. I’m so thrilled to have a service such as yours that never fails me. Thank you again. I have pushed the button several times over the last few years. Your timely response is appreciated. It’s comforting to know I have help with a press of a button. Thank you. My name is Diana Goomrigian. I live in Norwalk, CT. The zip code 06851. I’ve been a customer of Pioneer Emergency Medical Alert Systems for quite awhile. I’m home bound and considered handicapped. I want to tell you that the emergency service is just the best thing that’s ever happened to me. I know it’s kind of expensive, but it’s worth every penny. 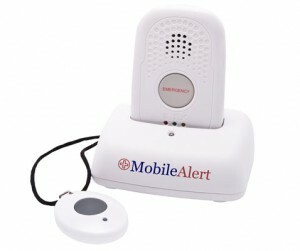 I’ve had 2 or 3 incidents where I’ve needed them, and I’ve pushed that button inside the house and outside the house. And the police come, and my children who come right away, and the ambulance. Usually have to take me to the hospital, unfortunately. But I just feel that this lavalier around my neck is a constant companion and a very, very good companion. I cheer your company, I really do. And I depend on them a lot. Thank you. This is Janice Hennessey, and I am very happy to make this testimonial on behalf of my brother and sister and I. We were pleased with the product we received for my Dad, who’s 92 and he insisted on living in his house . He thought he was safe and sound, and we were a nervous wreck. But once he started wearing the alert button, we just started feeling so much better. I thought the product totally did what it said it was going to do. He fell several times in the middle of the night and the afternoon, and he hit the button and we were alerted, and someone came to help him out. So anyway, I really want to thank you for an excellent product. Also, anytime that I called for a customer service question, concern, I don’t what I’m doing, the person who answered the phone immediately helped me. So that’s another sort of check plus. So thank you very much. I hope that others enjoy your product. 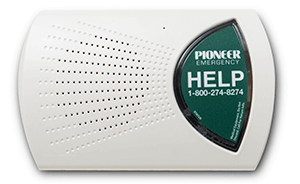 I have been using Pioneer Emergency Response Systems since 2003 ~ Feel safe and secure with this system. Just called them, after reading on the web site about the monthly check for battery !!! I had been remiss but then, with the friendly assistance from Jackie, we tested my home system and my wrist alarm… Now I feel secure and safe again 🙂 Thank you Jackie and Pioneer Emergency Response Systems… Great customer care and service! I thank you for the peace of mind your system provided me for the past year.We will continue the service for my mother in law for the same reasons. My name is Getrude Thaler. I live in UTC, University City. I’ve been wearing the wristband for Pioneer Emergency for a number of years now. And am totally and completely satisfied. I have needed them on 4 occassions, and they have immediately responded and come to my aid. Not only answering the emergency call, but promptly sending the law enforcement emergency help. Eventually having to end up in the hospital with their assistance. So I heartily recommend them for their diligent service. Thank you. This is Harriet commending Howard and Pioneer for getting me out of a terrible pickle last Monday evening. I am a disabled senior. I have been with Pioneer and Howard for about nineteen years. I was in my home in the bathroom when all electricity went out. Complete darkness. And I panicked because I did not dare fall. After about fifteen minutes, I made it to the bed, and I thought: what do I do? I called on this wonderful necklace that I wear. The emergency system that I wear. I pushed it and a wonderful lady came on and asked if she could help me. I said yes, but that I wasn’t injured. She said she would call my first responder, my daughter, and tell her that she needs to get out to your house and take care of me. Which she did! I am very, very pleased with the alert system! I was very impressed the other night when I got my unit, called to test it and they called me back immediately. Howard,Thank you so much for all your help with taking all the time you did to talk to me about the monitoring system. I really appreciate it a lot. You can’t really find much good customer service anymore but you went over and above to help me. My mother will be safe because of your great help. Hi, this is Jeannette Kirk and I live in Carlsbad, California. I was persuaded, very reluctantly by my children, to sign up for a First Alert button. I didn’t think I’d ever use it; I’m a very healthy old lady. I ran up the stairs, and of course I caught my foot on the last step. It threw me about as far as you can throw, and I broke my hip. I could never have reached the phone, but I did have my First Alert button on and I pushed it, and they were patient since I was so loud, I was screaming, I was thinking my neighbors might hear me or somebody, but of course they didn’t, and I was able to yell loud enough that they heard me. I was not close to the machine. They called the ambulance and were just there so fast. But the wonderful thing about it is that the First Alert people suggested they could put a lockbox on my door, because my house is so impossible to get into. That really saved the day and I appreciate that more than anything; I just can’t tell you how much I appreciate having that lockbox. So they got right in and were able to give me a shot in the leg so I wouldn’t hurt so extremely much and got me to the hospital. I’ve been telling all my friends, ‘Don’t think about it, just do it’. When you need it, there’s nothing like it. Allen D. Smith here. Just wanted to take this time to thank you for all your assistance in getting me the equipment that works great for me. I am sure as most folks will say “I was just doing my job” well in my opinion there is doing your job then there is doing your job really well. Thank you for the attempt to get me a system which did not require a phone line, unfortunately AT&T made that impossible to work. Thankfully you were willing to take the time and energy to get me the LIFE Sentry system which has tested extremely well in all areas of my home and surrounding areas where I had concerns. At 66 with numerous health issues and living alone with 3 large dogs it is most comforting to know all I have to do is push a button and help will be here. Thank You seems such a small thing to say for the security you have given me. I would like to take this time to thank you for your service. I feel you give the sick and elderly peace of mind when they live alone. 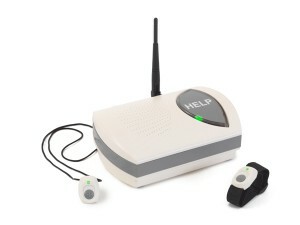 Knowing that help is on the way with just a push of a button. Your service also affects their love ones or caregivers knowing if they are away they will be contacted in the event they are needed. In November of 2005 this happened to me as I was the caregiver of my brother-in-law Hershel Daved. On Thanksgiving morning I was called and told that Herschel had activated the alert button that he wore, and he needed help. I was told that the ambulance was on the way. Herschel was transported to the local hospital. He had suffered a major heart attack. Because of your service he survived and was released from the hospital the day before Chistmas. Hello, my name is Ann Wood. And I throughly recommend this service. The equipment is excellent, the range is good. And they are very responsive to any comments I may have to make. The range is excellent, and I wouldn’t hesitate to recommend it to a friend. Since we’ve had the system, all my husband has to do is press the button and help arrives. We both feel more secure. For a long time I have felt that people, no matter what their age, should have a reliable method of contacting emergency help. This was dramatically proven when my active 95 year old sister-in-law, living alone, 3000 miles away, sustained a fall in her home. She was able to use her “First Alert” by pressing the button that automatically alerted a designated neighbor to call for an ambulance. It was fortunate that she was taken to a hospital quickly, where it was found that she had bleeding and edema in her brain. Without the rapid delivery of care she might not have survived. I would urge people, living alone, to have one of these medical devices to be used in the event of a medical emergency.